I want to visit every ballpark in the major leagues. And having been to a small handful already, I think I have found the one that will stand as the one to beat: PNC Park in Pittsburgh. For 20 years, the Pirates have been an awful team, but they began to enjoy a rebirth over the past couple of seasons. They threatened a couple of times with solid first halves, before falling off the map in the home stretch. Then, last year, finally, the Pirates returned to the playoffs. They won the 1-game playoff and eventually lost to the eventual National League champion St. Louis Cardinals, but the city was swept up in Pirates fever for the first time since the early 1990’s. That is a long time for a town to go between playoff appearances. Even longer to go without having a decent team. Years of penny pinching and trading away their best players seemed to work out for the team, as a stellar bullpen and young players playing their best and coming together at the right time brought the fans back to the park. And PNC is one hell of a place to watch baseball. I was lucky enough to get to do a park tour the day before the game, and it is a wonderful place. The details that went into building it, down to the original rivulets, is truly impressive. Wandering through the suites, and the pressbox was really cool, a way to see how the other half lives. Then we got to go down in to the depths of the stadium, where the dressing rooms are, the batting cage, and eventually, wandering into the dugout and onto the majestic field itself. Standing on a major league ball diamond is something truly amazing, to see the field in the same way that the players see it, and to feel the shale crunch beneath your feet. This was something unforgettable for me. As far as the game itself went, it was extremely exciting. The fans were great, all clad in black and yellow, and they were there, fired up for their team. This was during the 2012 season, and the Pirates were still very much in the hunt when I saw them. The people of Pittsburgh were fired up. The park is beautiful, and after so many losing years, the prices was right. A $40 ticket got me fifth row seats behind the visitors dugout (they were playing the Arizona Diamondbacks), on the first base side. Couldn’t ask for better seats, and as I arrived, I was even surprised by how good they were. I wasn’t expecting them to be that close. Standing room only for the young, exciting team. On my trip, I had lived off junk for too long, so I didn’t have a hot dog at the park, but I did indulge in a few beers with the friendly people in my section. They were nice people, and they made the game that much more entertaining, as we cheered for the Bucs together, dove for foul balls at the same time (made it on the big screen and on the local broadcast! ), and roared as the Jolly Roger was raised at the end of the game, to signify a Pirates victory. Looking in from the river. Looking into the outfield of PNC Park is one of the best sights in the majors. Downtown Pittsburgh sits across the Allegheny River, and a couple of the yellow bridges that cross the river sit in the beautiful view. It is something beautiful to behold, yet another city that has done it right with the location of their ball park. The whole area around PNC is also perfectly done, as there is a long cluster of nearby bars and restaurants ready to handle the pre- and post-game crowds. A short walking distance away is Heinz Field, home of the legendary Steelers. 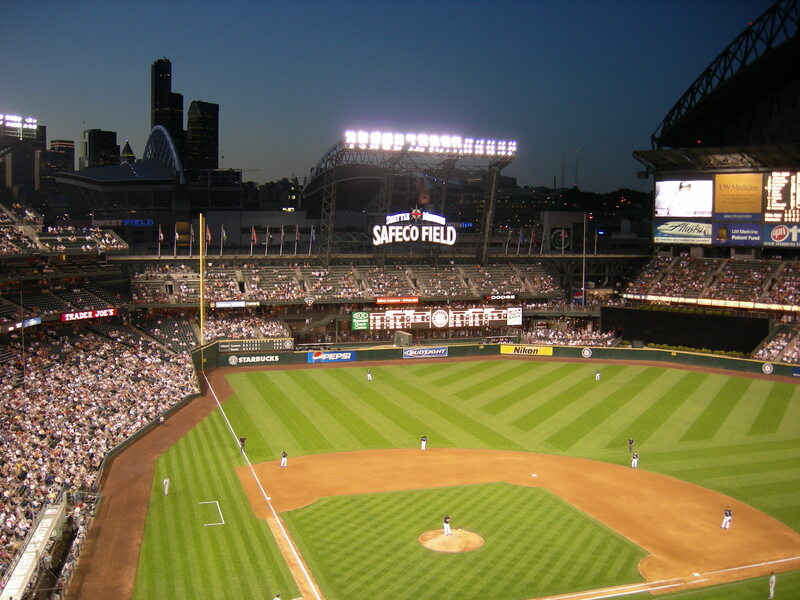 The setup is similar to that of Seattle, with the Mariners and Seahawks stadiums being right next door to one another. Pittsburgh is a surprisingly awesome town, and I was glad that I had the chance to visit there. It was even better having a hotel across the street from the ballpark, but that was an indulgence I would not be able to afford every time. 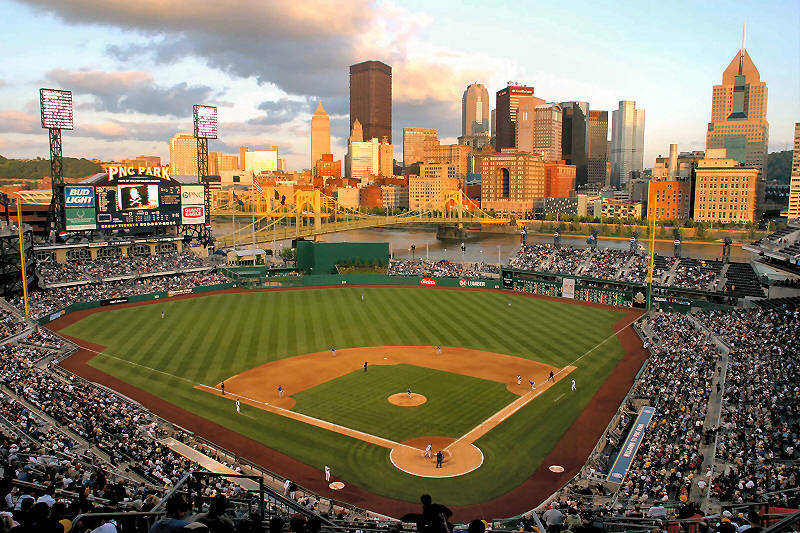 PNC Park, in my opinion, is my favorite ball park I have visited so far, and it is one that I would truly love to go back to in the future. I love the Boston Red Sox. Ever since I became a fan of baseball, they arbitrarily became my favorite team. I love the idea of the long-suffering fan base, I loved that they were rivals of the New York Yankees, and I loved the idea of the Curse of the Bambino, which had been going on for about 80 years when I started following them. The reason they became my team was simple, as my sister was on a trip to Boston, and I asked her to buy me a Sox hat. It started there, and has lasted ever since. 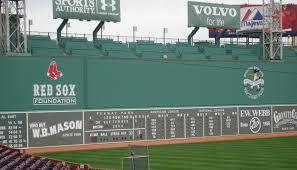 This will be my view from the bleacher seats. After being lucky enough to watch them win three World Series titles during the tenure of my fandom, I feel grateful that I chose them as my team, even if it was a random selection. 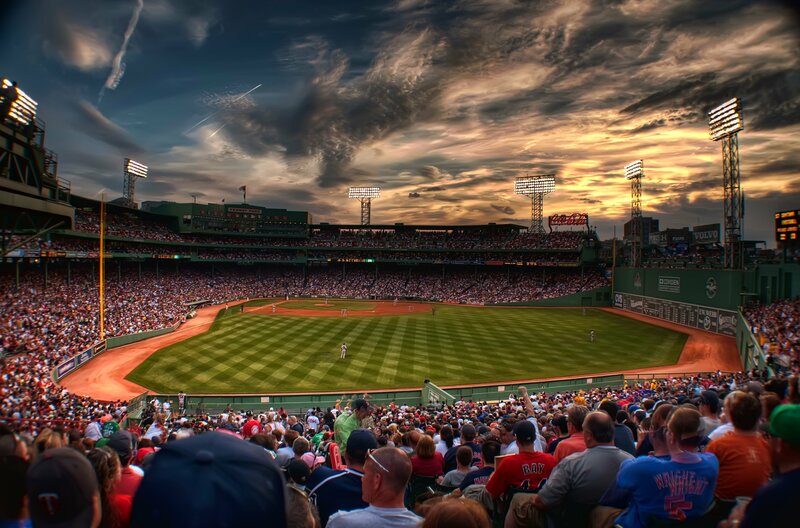 After completely falling in love with the game, I will finally be able to fulfill one of my bucket list wishes: I will get to go to a game at Fenway Park. And not just any game, but I will be able to go to Opening Day, to start a season after they won the championship. 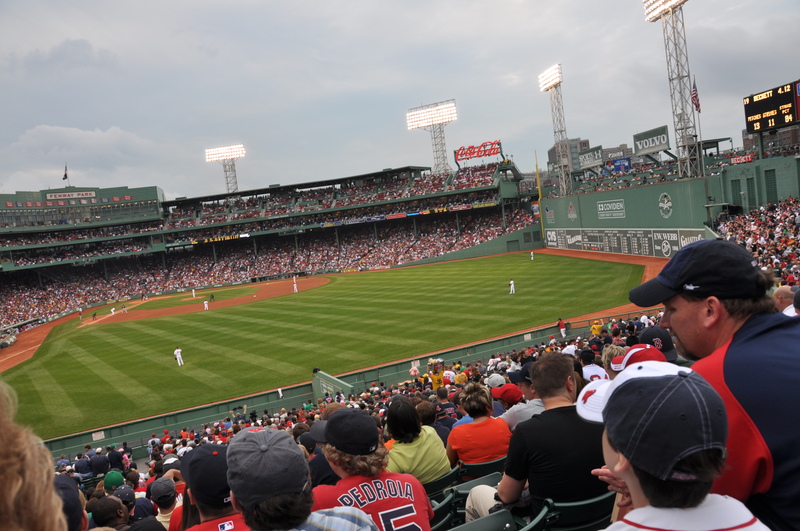 I have long dreamed of going to Fenway, and have been to Boston before during the season, but that was during the 2005 playoffs, when they were facing the White Sox, the year after they won their first, curse-breaking Series in 2004. There was no way I would have been able to afford tickets to that game. So I watched, along with the rest of the city, in bars. The Red Sox lost that series, but the city was still abuzz with the team, still basking in the afterglow of their series win the year before. I had decided that when I returned to Boston, I would see a game, if not several games. I may not have the chance to see more than one, but I will be there for the most important, and celebrated, games of the year, outside of the playoffs. A friend won tickets to opening day, and when she was not able to go due to her small children, I bought them from her. Quickly, I booked a flight to Boston, as they were more reasonably prices than I would have expected, and so it goes. I will get to sit in Fenway, watch the team I love, and party with the other faithful of one of the most popular teams in baseball. To say the least, I am truly excited. April 4th can’t come quickly enough! The Milwaukee Brewers are one of those major league teams that people tend to forget exists. They are rarely brutally bad, but not often really good, and they are just kind of…forgettable. Their most frequent headlines tend to be about trading away a really good, too-expensive player, or lately, too many things about the cheater MVP Ryan Braun and his failed drug tests. But the Brewers have a great home park, and one that is so close to Chicago that it should not be overlooked if you are traveling in the area. Milwaukee itself is a pretty quiet, but nice place to visit. It doesn’t have the bells, whistles, and culture of a place like Chicago, but has a lot more of that down home feel, a place where you can be really comfortable for a couple of days while exploring what the city has to offer. 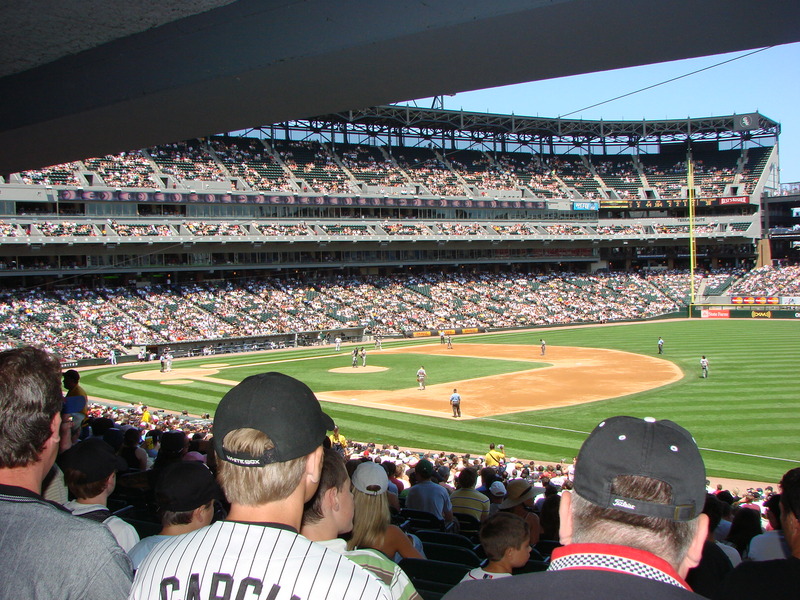 Miller Park is another of the new-ish stadiums across the league, this one opening its doors in 2001. And it is a very fun place to see a ballgame. First off, Miller Park looks really cool from the outside. It has a spaceship appearance to it, mainly due to the interesting look of the retractable roof. The rest of the facade is brick arches, and it is a very attractive stadium from the outside. On the inside, nothing changes. They did it up right when they built this place for the Brewers. Throughout the ballpark, everything is nice, clean, and modern. They didn’t seem to spare any money or cut any corners when they put the park together. The field is beautiful, the cool slide in the outfield adds an interesting feature, once where the mascot slides down after a home run. For a park named for a beer company (and a beer-named team, as well), I thought Miller Park was going to be a glorious haven of millions of beers, flowing freely and cheaply. Not entirely the case. There are some decent drink options, but the prices remain the same as any other park in the league. There is some good, greasy food there as well, and our focus was on the cheesy fries that came in a miniature Brewers helmet. Good. Waffle fries are pretty much the best thing ever. The prices were reasonable, as we sat directly behind home plate in Row 3, for about $100 per ticket. Definitely pricey for a ball game, but those seats in any other stadium would cost double that price. Plus, we had the bonus of being on ESPN for the majority of the highlights that evening. During the May game, the weather was not being terribly polite, and it ended up being a pretty spectacular thunderstorm during the game. Thankfully, they thought of that retractable roof. Having it closed took away a little bit from the outdoor ball experience (where, as I stated in a previous post, doesn’t really happen as much in Seattle’s home park), but it didn’t dampen the atmosphere inside enough to be truly problematic (I can picture a place like the Rogers Center, home of the Blue Jays, where having the roof closed would completely change the feeling of the game). The best part about seeing the Brewers was for their fans. Fun, friendly, outgoing people. The group of people in our section were all great, loved baseball, loved the Brewers, and loved chirping the visiting Pittsburgh Pirates (who ended up losing, as they always did in those days). It was easy to strike up conversations with the people around us, to discuss matters of the game, and the season to that point. It was fun and laid back. People were all drinking beers and enjoying the food, but it was a well-controlled crowd, and nothing out of control happened, as it sometimes does at games. 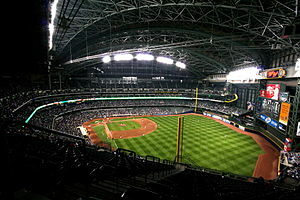 For the fans only, I would go to Miller Park again. It speaks to the blue collar people of Milwaukee, and how great they are. One of the most memorable moments of the game was seeing then-Brewer Prince Fielder chugging around the bases and getting a triple, one of the more rare events of his strong hitting career. A man of that size does not usually travel so well, but he got it done, and the crowd went wild. They absolutely loved his hustle. It was a fun moment to experience. That, along with the traditional sausage race that takes place between innings during the game. I got pretty fired up over that. I have never had an affinity for the Brewers one way or the other, and even though I won’t outwardly cheer for them now, they definitely have a soft spot because of my chance to see them live. Miller Park is a great place, one that is probably underrated in the league. Definitely worth the visit, in a cool little town. 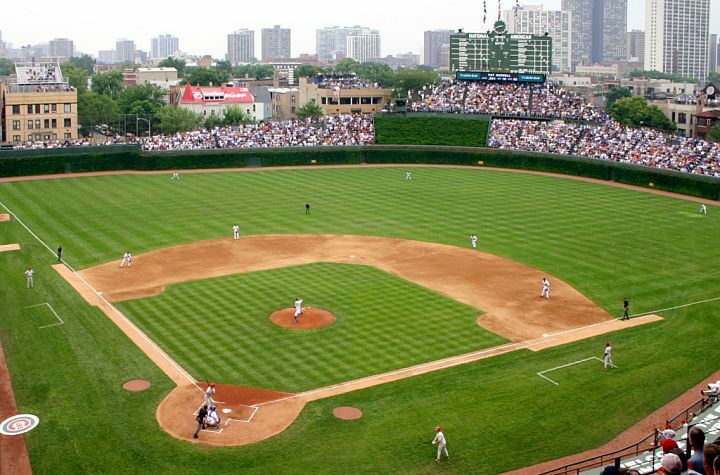 Wrigley Field is, without a doubt, one of the most legendary stadiums in baseball, and in all of sports. It was with this ballpark in mind that I drove thousands of kilometers to see a game. Wrigley Field is nestled in the beautiful and charming Wrigleyville area of Chicago, where shops and restaurants line the street, and hey, look, there is a baseball stadium on the street corner there. Walking into the park, and through the tunnel, you can’t help but feel awe when you first see the green grass of the diamond. During my trip there, (it was in May), the famous outfield ivy was not fully grown, and clung to the outfield walls like brown death, but it was still cool to see in person. The stadium has earned its nickname, as the place really does feel cozy and friendly. The views from the seats are incredible, and even though I was in Row 30 or so, it felt like we were still on field level, getting a fantastic view of the game. It was incredible. The slope of the seats is quite gradual, so even if you are sitting further back on the first level, you don’t feel like you are a mile over the players. It all feels pretty equal, and this helps with that “friendly confine” feeling. And the day I was there, it was a perfect day for baseball. The Cubs eventually lost the game to the Florida Marlins, thanks to a blown save by Carlos Marmol and an implosion in extra innings, but it was truly a magnificent experience. The people there, while not the most outgoing of fans that I have ever come across, love their Cubs, and die a little with each of the many, many losses they have garnered over the past one-hundred-and-some-odd years. Who knows what would happen should the Cubs actually win a World Series one of these days. Chicago wouldn’t stop partying until the next season began, I’m sure. The park is easy to find, and the public transportation to get there is great. You can essentially get dropped off right across the street from the stadium. 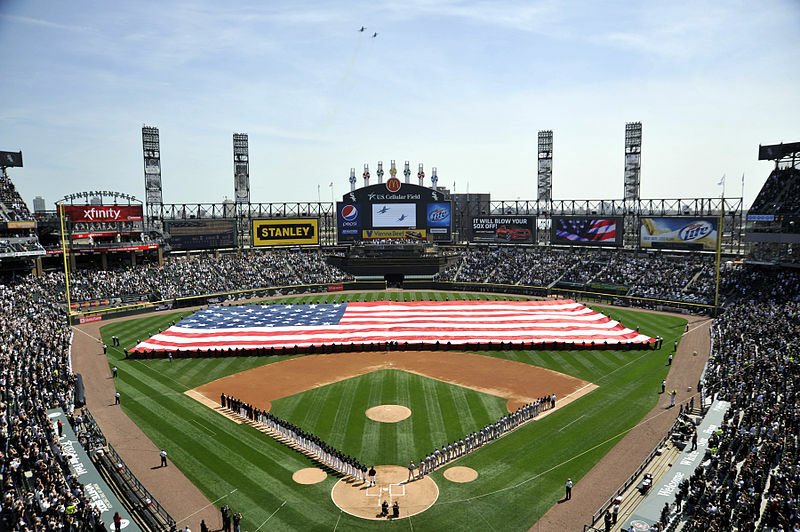 It is far more convenient than the more distant US Cellular Field, where the cross-town White Sox play. 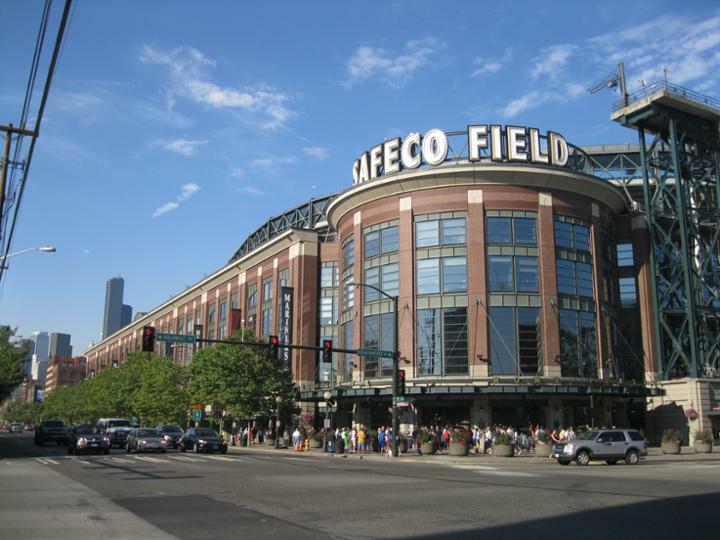 There are tons of great places for a snack, meal, or beer before or after the game, and the whole area around the park is bustling before game times. 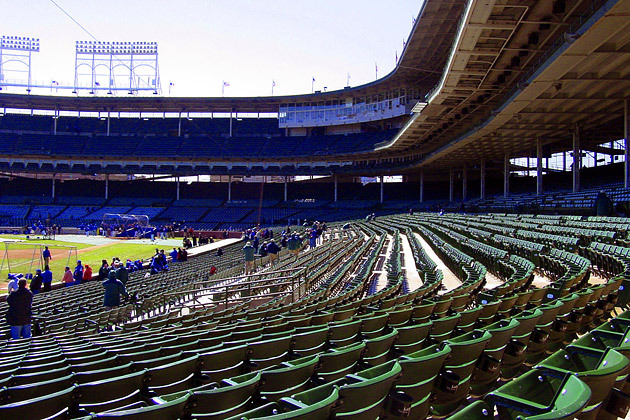 Since Wrigley is so old, having opened around the beginning of the First World War in 1914, there are many ancient things in there that come across as charming, since this field has been through so much history, to the point where it has become history. The washrooms are small and cramped, with long lines, and nothing more than a long trough to pee in (nothing like really getting to know your neighbors and the person across from you, I guess!). There is no electronic scoreboard, which is fantastic, since I have found these multi-million dollar HD scoreboards to often be a distraction from the game. Wrigley doesn’t need the flashiness. You are there to see baseball, and you can really maintain your focus during the game. 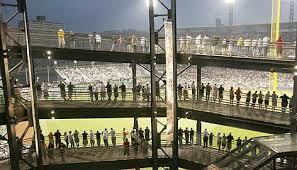 The whole idea of the rooftop seats is one of the coolest things you might see in any major league stadium. Across the street, you can buy a ticket, sit on a roof and watch the game take place. 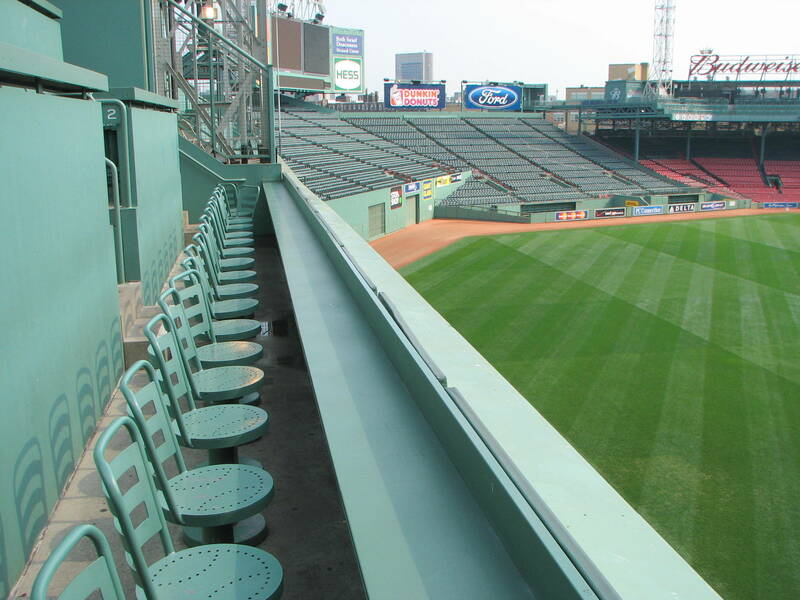 Sure, they wouldn’t be the greatest view in the world, but it has that hip factor to it in the same way that the Monster Seats in Fenway do. For those in the stadium, seeing the buildings across the street peering over the outfield grandstands is one of the great, and classic, views in all of baseball. 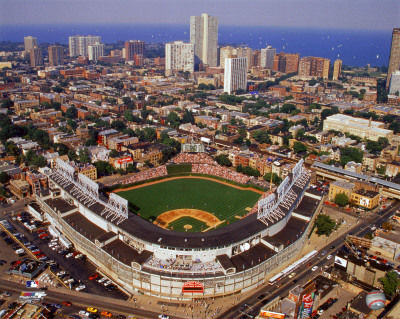 So many stadiums have now developed these outstanding scenic cityscapes in the outfield, but one cannot argue with the fact that Wrigley was one of the first to have it done. It is great to look at, and to see the sun set over the legendary park. For me, Wrigley was all about the personality. This stadium has it. It is not a common, modern stadium where everything is amazing and shiny and new. There are not high end restaurants and massive team shops all over the place. Wrigley is a baseball stadium, in the truest sense of the word. There are hot dogs and beers, and small places to buy Cubs gear, but in the end, you come to Wrigley to cheer for the Cubs, and little more. It is a park that has that magical quality to it that you see in movies about baseball. It is a place where legends have played for 100 years. And it was well worth the drive to get there.